Hello PlayStation fans! This is George from Grip Digital, a company based in the beautiful city of Prague, Czech Republic. 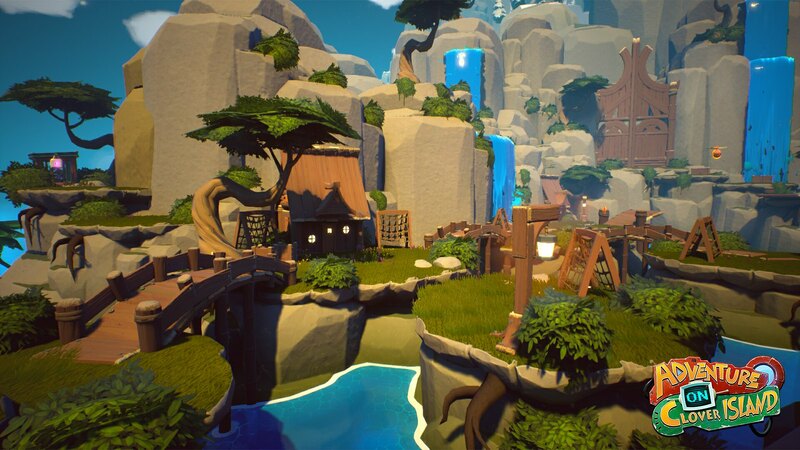 We’ve been hard at work with Right Nice Games – a small, talented development team from Stockholm, Sweden – to bring you their debut title, Skylar & Plux: Adventure on Clover Island. Today we feel very happy because Skylar & Plux is ready to launch this Friday, May 19 at PlayStation Store! The game takes place in the exotic Clover Island, with lush greenery and colourful landscapes. Our main heroine, Skylar Lynxe, a snow cat with a mysterious robotic arm, and Plux Owlsley, her trusty sidekick, have to stop an evil industrialist who plans to conquer Clover Island. Your mission is simple: you must fight your way across four different environments and a dozen levels, taking on boss battles, volcanoes and space, using a wide range of upgradable gadgets and weapons to save the island from destruction. 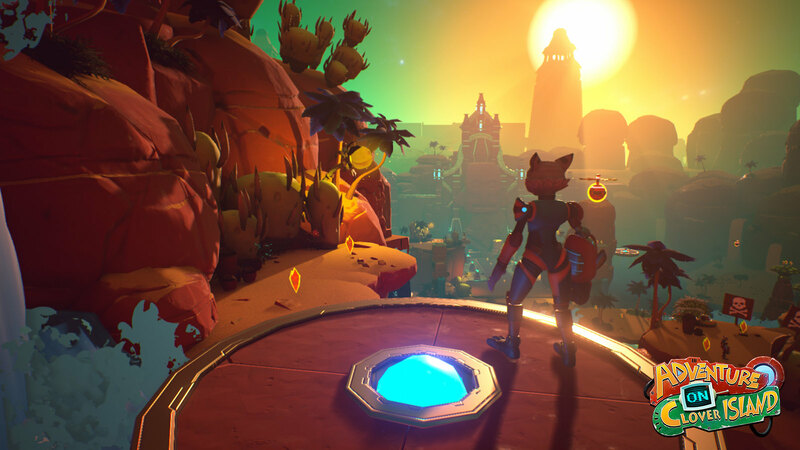 Skylar & Plux is a nostalgic blend of all the classic 3D platformers of the late 90s and early 2000s. 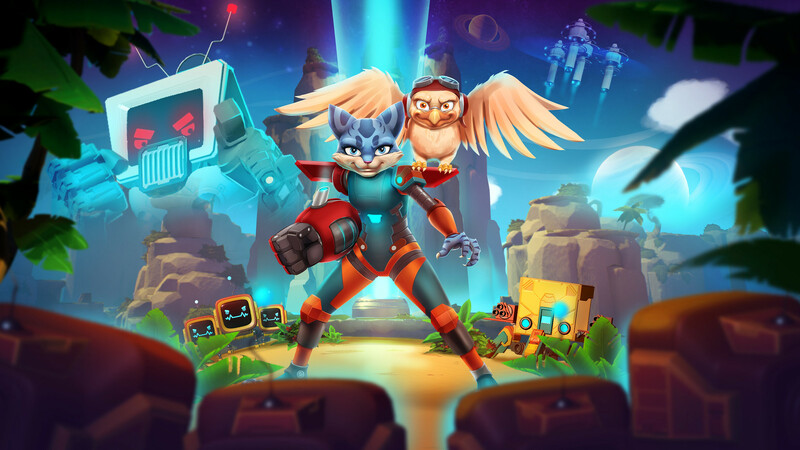 So there’s something for everyone, whether your favorite platformer was Mario, Jak & Daxter, Spyro or something else, you should be able to relate to Skylar & Plux. But I will stop here so I don’t spoil all the fun for you. If you like what you’ve seen so far, then check out the game when it is available. We hope you enjoy playing Skylar & Plux as much as we enjoyed making it. We look forward to seeing what you think about the game. Your feedback is super important to us, so please feel free to get in touch, either in the comments below, or through our social media pages to share your thoughts and ideas.